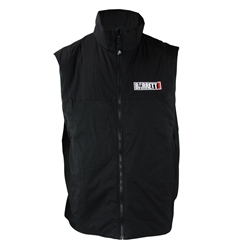 Lightweight Barrett branded, insulated Coreloft™ vest by Arc'Teryx is designed to preserve core warmth. Ideal as a layering piece for cold weather activities. Atom Series: Synthetic insulated mid layers.